Starting a free trial with EditMe is really simple. No credit card is required to start your free trial! With no software to install, servers to tweak, or IT support needed it's easy to just get started. Your free 30 day trial is just seconds away! Click the large yellow box below "See Plans and Pricing"
Check your email and activate EditMe! Then you are ready to start creating pages, sharing attachments and inviting other users. No technical background is needed to get started. If you can use Microsoft Word and browse the internet you'll quickly master EditMe. 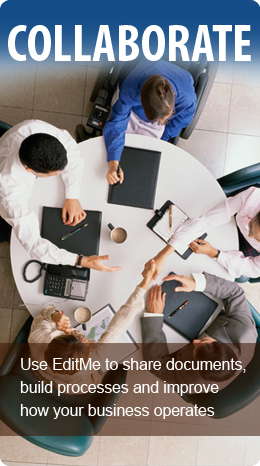 We know you'll love EditMe's ease-of-use, affordable prices and super support. Don't just take our word for it...read what our customers are saying.